Grover Beach Councilwoman Phyllis Molnar resigned from the city council Thursday following the announcement of a change in her residence to outside the city limits. Molnar unsuccessfully ran for mayor in the November 2012 election as a midterm councilwoman. She remained on the council for nearly three months following title documents filed with San Luis Obispo County Clerk Recorder’s Office that show Molnar had planned to move outside Grover Beach during her campaign for mayor. The grant deed for Molnar’s new residence located in unincorporated San Luis Obispo County outside the city limits of Arroyo Grande on Nov. 6, the day the election occurred. Molnar and her husband signed the grant deed on Nov. 15, and the title transferred to their possession on November 28. Molnar’s deed of trust states that the loan requires the couple to make the rural South County home their primary residence within 60 days of the transfer, and it must remain so for an entire year. Two months following the transfer of the title, Molnar announced her resignation from the city council. In a letter dated Jan. 28, Molnar informed the other four members of the council that she planned to resign Thursday. Molnar did not say in the resignation letter whether or not she had already moved outside Grover Beach. Her loan stipulates that she would have already needed to make her new home her primary residence by the time she wrote the resignation letter. The council must now appoint a replacement to fill Molnar’s vacant seat or hold a special election. It will discuss the matter at its meeting on Monday. City staff estimates that a special election would cost $28,000 to $30,000. 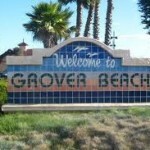 I’m torn, stepping down mid-term is chicken-crap; her decision to move out of Grover Beach…I appreciate. Hmmm, didn’t seem to bother Allen Settle, he stayed on the SLO city council. Heck he still votes here in San Luis Obispo, even though he’s lived in rural Arroyo Grande for years. So you are saying 2 wrongs make a right. Harry……………………….. NO, but maybe its time for the TOWN ( and I meean TOWN)) of Grover Beach to turn its name back to Grover City….. but a City it never was………………….. Sad !